Can we trust the Bible completely? Is it sufficient for our complicated lives? Can we really know what it teaches? With his characteristic wit and clarity, award-winning author Kevin DeYoung has written an accessible introduction to the Bible that answers important questions raised by Christians and non-Christians. This book will help you understand what the Bible says about itself and the key characteristics that contribute to its lasting significance. Avoiding technical jargon, this winsome volume will encourage you to read and believe the Bible—confident that it truly is God’s Word. Kevin DeYoung (PhD, University of Leicester) is the senior pastor at Christ Covenant Church in Matthews, North Carolina, and assistant professor of systematic theology at Reformed Theological Seminary (Charlotte). He serves as board chairman of the Gospel Coalition and blogs at DeYoung, Restless, and Reformed. He is the author of several books, including Just Do Something; Crazy Busy; and The Biggest Story. Kevin and his wife, Trisha, have eight children. 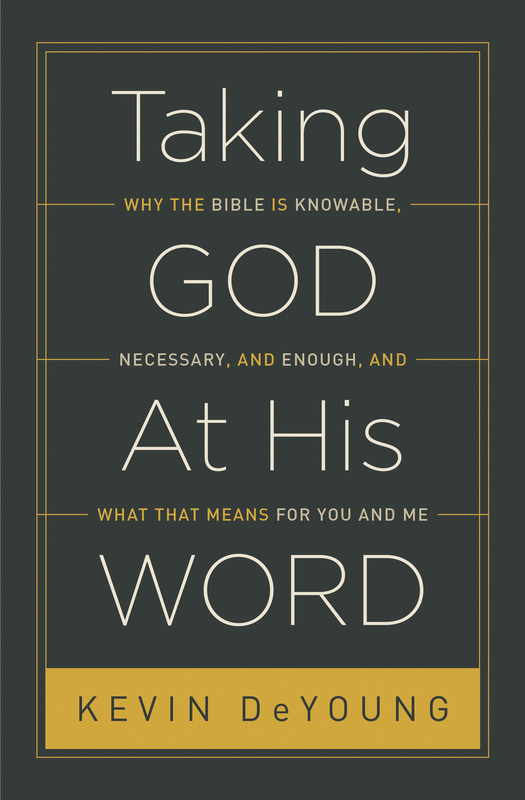 “If you’re looking for a clearly and simply stated doctrine of Scripture, here it is. Kevin DeYoung has accomplished his aim of communicating what the Bible says about the Bible. He’s done it with the qualities we have come to anticipate from him: efficiency, pastoral care, wit, and rigor. Most of all, he has let the Word speak for itself."